Entertainment One’s flagship children’s series Peppa Pig has taken home a trio of awards at Russia’s Multimir Children’s Festival inaugural awards ceremony which took place in Moscow on May 31st – June 4th 2017 to honour the best in children’s animation. 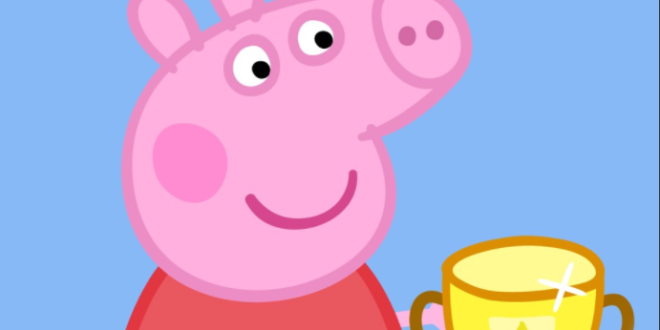 Peppa Pig was crowned Best Foreign Animated Series, Best Female Character in a Cartoon Series as judged by a Jury panel that includes leading figures in Russia’s children’s entertainment industry and also Best Female Character in a Cartoon Series as voted by audiences. Launched in 2016, Multimir Children’s Festival is a five-day summer festival for kids that takes place over 14,000 square metres and features over 50 interactive zones showcasing popular children’s animated properties. This year, the festival attracted over 150,000 children from across Russia and eOne worked with its Russian licensing agent, Megalicense, to curate three interactive areas for its brands Peppa Pig, PJ Masks and Ben & Holly’s Little Kingdom. “We’re thrilled that Peppa Pig has been honoured with these prestigious awards which are a ringing endorsement of the show’s popularity and resonance in Russia,” commented Monica Candiani, head of international sales at Entertainment One. Peppa Pig first launched on air in Russia in Autumn; 2012 on Russia’s No. 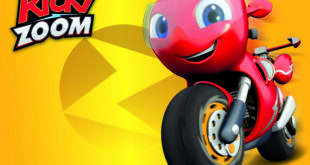 1 dedicated children’s TV channel, Karusel, where it now airs daily in multiple time slots. Merchandise debuted at retail in Russia from October 2014 and Megalicense manages the consumer products program, which now boasts 35 partners across categories including toys, apparel, and accessories, publishing, live events, homewares and FMCG.